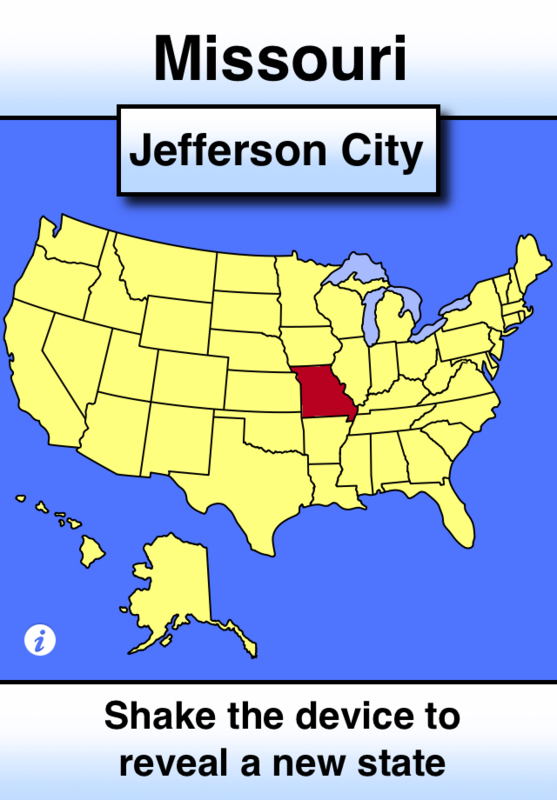 U.S. state capitals the easy way -- just shake 'em up! This free application offers flashcard style review at your fingertips. 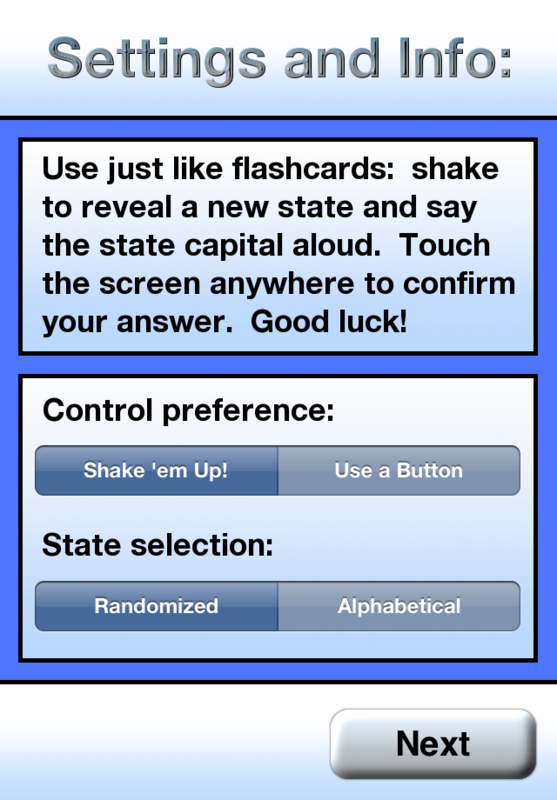 Shake to reveal a random state ... or review alphabetically. 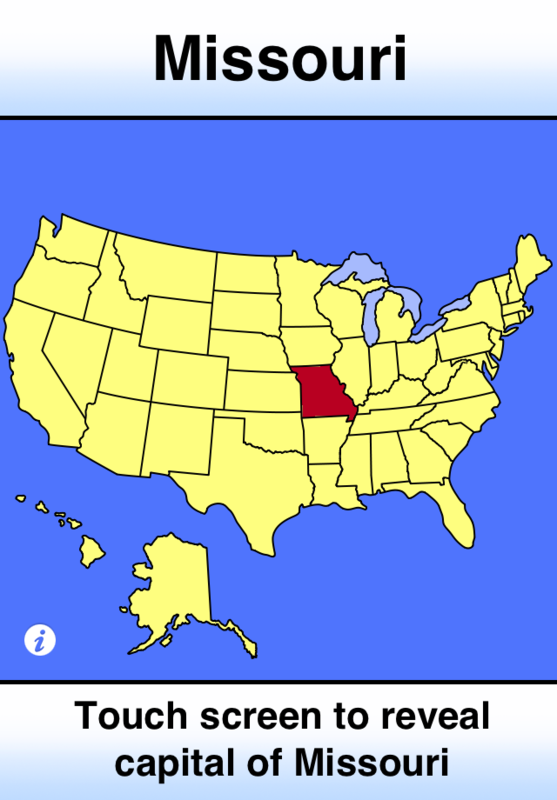 Each state is highlighted for you on a U.S. map. 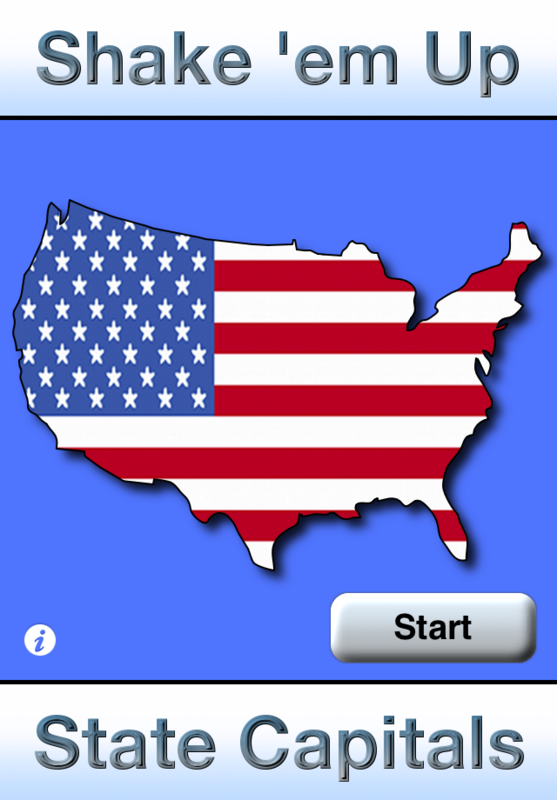 Use your touchscreen to magically reveal the correct state capital. All this and soothing marimba sounds too. You'll be the reigning expert in no time!